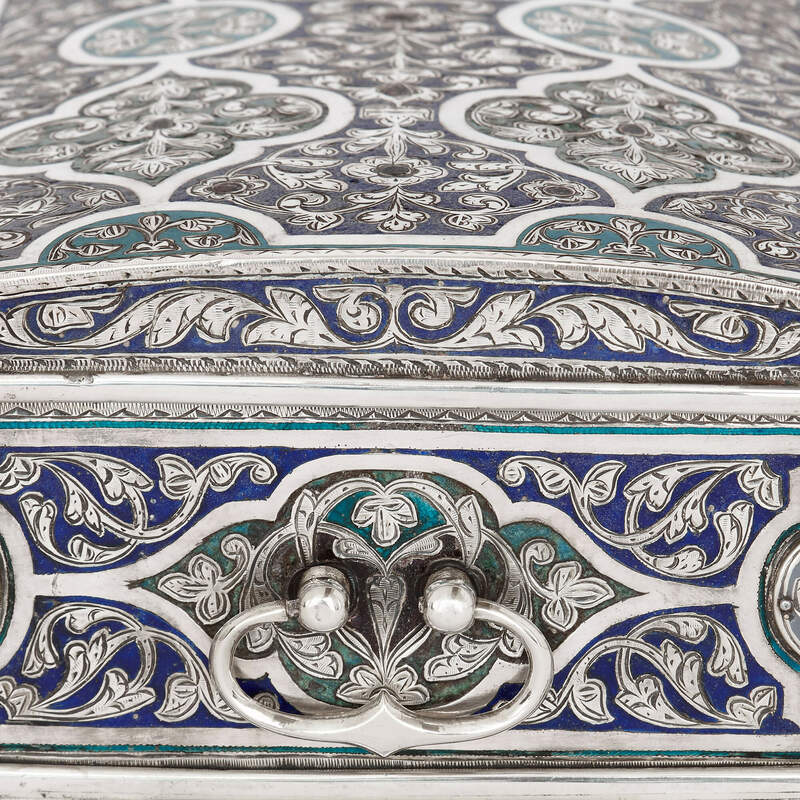 This wonderful Islamic casket, with its intricate Arabesque silver and enamel patterns, was crafted in late 19th Century Bukhara, modern-day Uzbekistan. 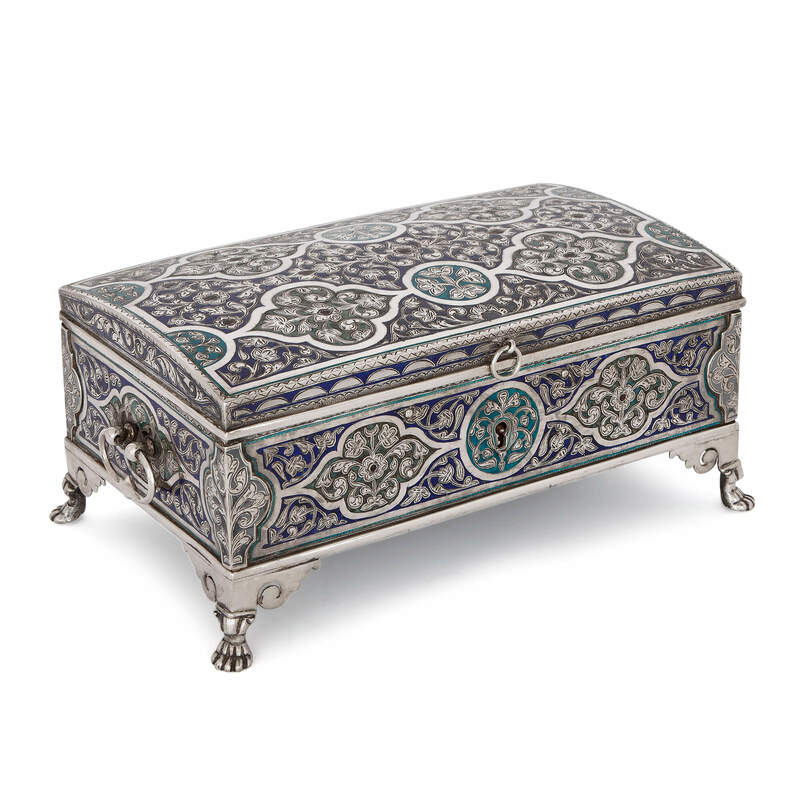 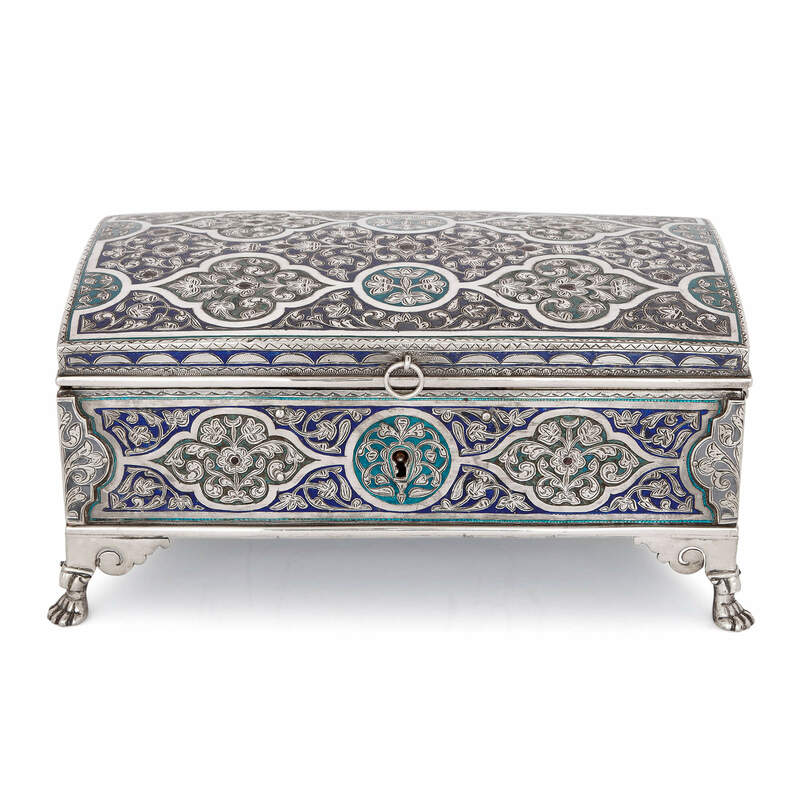 The fine silver casket is decorated with royal blue and turquoise enamels, arranged in Arabesque patterns. 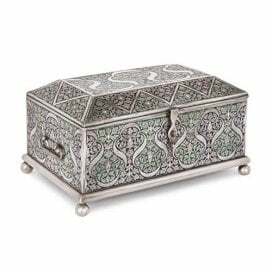 The casket is ornamented with alternating circular medallions and quatrelobed forms, resulting in a well-balanced decorative composition. 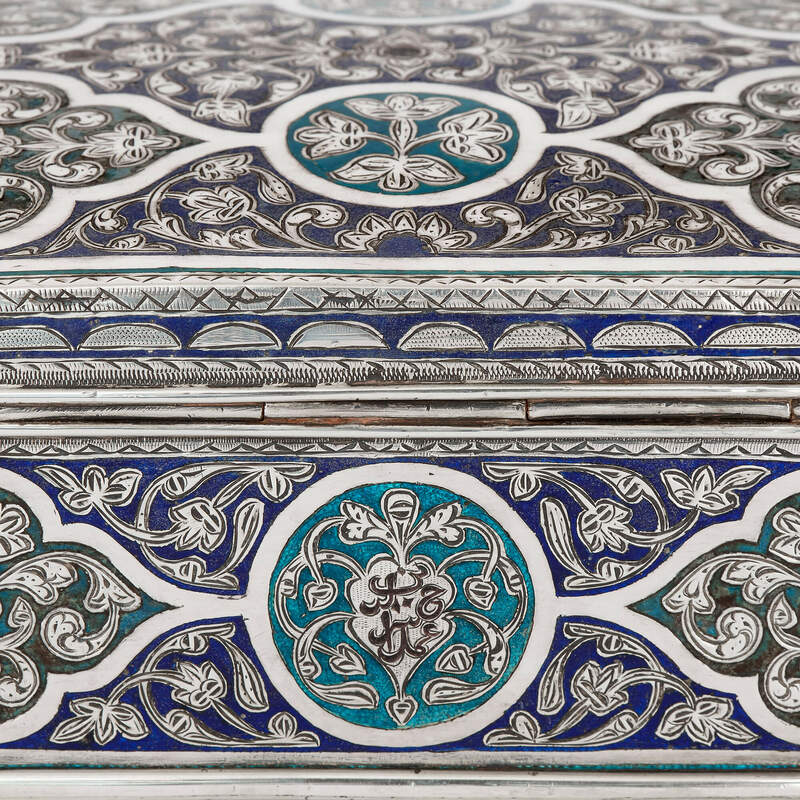 These shapes and the enamel ground between them are further enhanced by silver scrolling motifs, which are intricately engraved into the surface. The box has two handles, one to each side, and is supported on four paw feet. 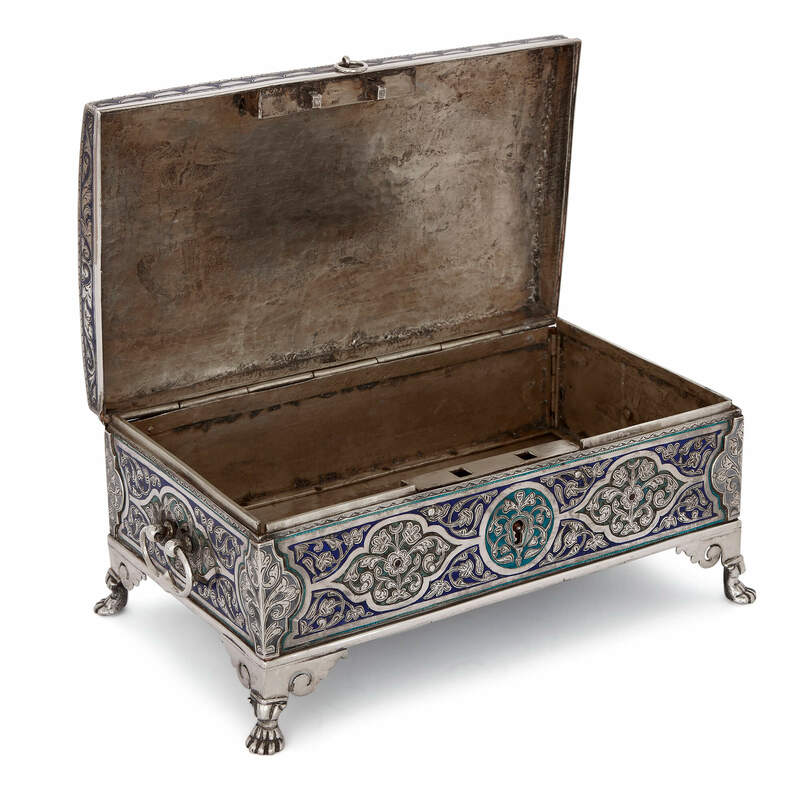 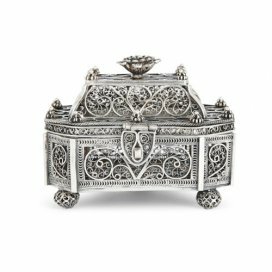 The hinged lid opens to reveal an interior, which would be ideal for storing precious jewellery, or other such items. 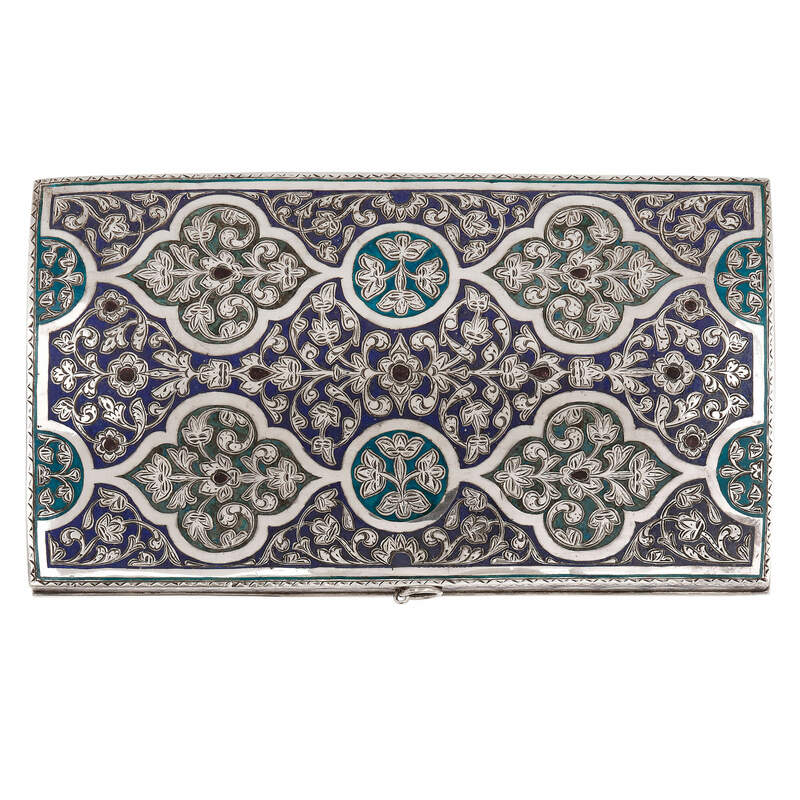 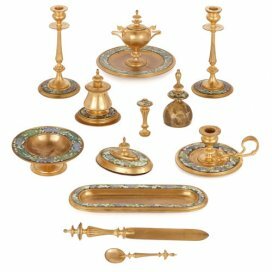 Located in modern-day Uzbekistan, Bukhara, where this piece was crafted in the 19th Century, is known for producing fine crafts and luxury goods, which for thousands of years enriched the local Silk Road trade.